What's in a Sail Check? Your sails are an investment and with proper care, you can expect years of satisfaction and enjoyment. Quantum's Global Director of Client Care Charles Saville describes what our professionals look for during a multipoint inspection. Annual inspections and sail care not only maintain sail performance, but also help extend the lifespan of your sails and eliminate potential disasters. Getting into the habit of getting a sail check-over every year is the first line of defense against small problems turning into bigger, more costly issues later on. To provide the highest level of sail care, we believe it’s not enough to simply identify the needed repairs. 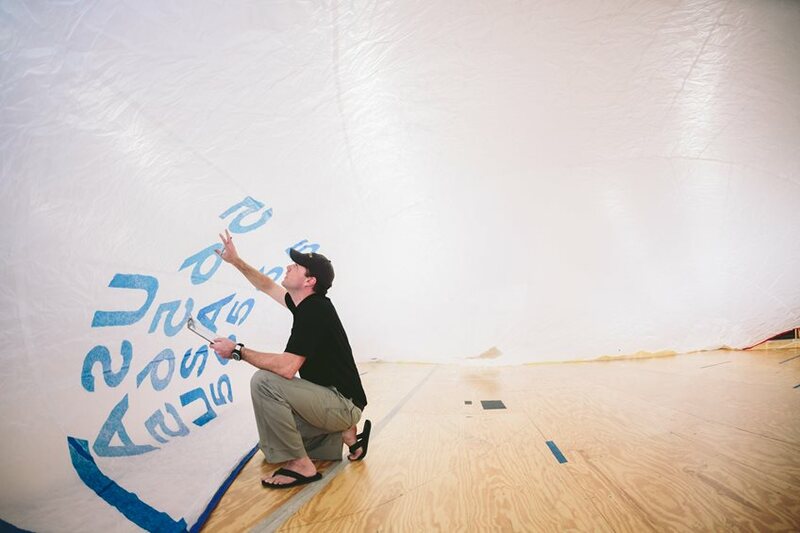 Our service technicians are trained not only in the painstaking process of inspecting a sail, but also collecting additional information to help identify the source of the problem. Making the repair is a good start; helping you address the root cause is even better. Reducing future repair costs and downtime is the ultimate solution and an example of how Quantum’s service team goes above and beyond to provide exemplary service. So what exactly goes into a Quantum sail check? Inspect all attachment points of the sail. Take a close look at corner attachment points, luff tapes, luff hardware and reefing systems. Investigate any chafe or damage at these points, and evaluate suitability for use. Look over all edges of the sail. So much can be gained in understanding the life of a sail by examining its leech, which can provide insight into any stretching or misshaping, or potential UV damage. We inspect the entire perimeter to gain a better understanding of the sail’s history, which in turn helps shape our recommendations for repair or upgrade. Evaluate entire sail for chafe, tears and damage, including not only the main section but also batten pockets, leech reinforcements, etc. We look to see if there’s a pattern to the chafe, evaluate why it’s happening, and not only fix the sail, but also advise you how to prevent the damage in the future. Assess entire sail for UV damage. Some exposure is normal, so our trained technicians understand when exposure has developed into a larger problem. Examine all accessories on the sail for proper function and continued use, including draft stripes, Dutchman Systems, batten pocket tensioning systems, control-line pockets and cleats, etc. If it’s on the sail, we’re going to inspect it. Evaluate the cloth. We look at where the sail is in its lifespan, evaluating how the lamination is withstanding use. By judging how the material is holding up versus the age of the sail, we can give you a better understanding of its remaining useful life. The best way to ensure you get the longest life out of your sails is to have them checked annually for the above criteria. When problems are identified early, there’s a higher chance that our sail experts can make the necessary adjustments and repairs to prolong the use of that sail. Sail checks can also indicate other potential rigging or tuning issues based on evidence of wear. A simple annual sail check can save you money by avoiding replacing sails more often than necessary, and ensure you don’t lose valuable time on the water waiting for replacement sails. Contact Quantum to schedule your next sail check.